Pakistan is currently placed on the FATF’s grey list. It can be put on the black list if it fails to meet certain conditions by September. New Delhi: To keep up the pressure on Pakistan, India has now decided to lobby for its ‘technical evaluation’ by the Financial Action Task Force (FATF), a global anti-terror finance watchdog. India is urging the FATF to quiz Pakistan on what steps it has taken to combat funding of terror groups, sources told ThePrint. The push from India comes after the 14 February Pulwama terror attack in which 40 CRPF personnel were killed. The attack was claimed by Pakistan-based Jaish-e-Mohammed. According to FATF rules, there are two rounds of evaluation of the measures taken by a country to curb money laundering and terror financing. Initially, a technical evaluation is carried out based on 40 parameters and then a final evaluation on 11 broad categories. The final evaluation of Pakistan is slated to take place in September. Pakistan is already on the FATF’s ‘grey list’, and it has been granted time till September to adhere to 15 conditions. Of these, three need to be followed by May. Pakistan could be placed on FATF’s ‘black list’ if it fails to meet all the 15 conditions, and that can be detrimental to the country’s already cash-strapped economy. Sources said India wants FATF to conduct the technical evaluation of Pakistan in or before May to highlight the fact that the latter’s recent announcements of a crackdown on terror groups is all “hogwash and cosmetic”. India has even raised this issue with the US. Sources said Foreign Secretary Vijay Gokhale has spoken to senior officials in US President Donald Trump’s administration as well as the US Congress in this regard. India believes that Pakistan is talking of a terror crackdown now to get off the FATF ‘grey list’. That’s why New Delhi is trying to ensure that FATF conducts a ‘technical evaluation’ of Pakistan before the final evaluation. If that happens, then India will be able to make its case stronger and push Pakistan towards the ‘black list’. “A technical compliance analysis will bring out the true picture on whether the Imran Khan government has taken any effective action in cracking down terrorist organisations in their country,” a government official told ThePrint. Earlier this month, the Pakistan government said it has banned terror groups such as Jamaat-ud-Dawa and its affiliated body Falah-e-Insaniat Foundation (FIF). The leaders of these groups and also hundreds of members of the Jaish-e-Mohammed were arrested under the Pakistan government’s National Action Plan. 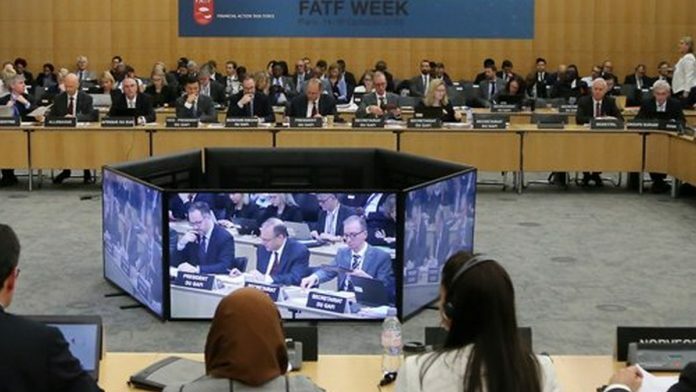 During the 18-22 February plenary and review meetings, the 37-nation FATF had stated that there has been “limited progress” by Pakistan on the targets set for January 2019 to curb terror financing, and urged the country “to swiftly complete its action plan, particularly those with timeline of May 2019”. Pakistan Finance Minister Asad Umar had recently written a letter to FATF president Marshall Billingslea, who also serves as the US Department of the Treasury’s assistant secretary heading the Office of Terrorist Financing and Financial Crimes, to remove India as co-chair of the Asia-Pacific Joint Group “to ensure that FATF review process is fair, unbiased and objective”.